Think of data breaches as coming in two flavors: breaches of institutions that people choose to entrust with their data—like retailers and banks—and breaches of entities that acquired user data secondarily—like credit bureaus and marketing firms. Unfortunately, you can’t keep your information perfectly safe: It is often impossible to avoid sharing data, especially with organizations like governments and health insurers. Furthermore, in cases where a company or institution gives your information to an additional party, you’ve often agreed to sharing more data than you realize by clicking “I accept” on a dense user agreement. A stolen cache of personal information belonging to nearly 1,000 German politicians — including outgoing Chancellor Angela Merkel — has been leaked, according to a report published Thursday. The information includes everything from phone numbers and credit card details to private messages with family members, German media said. The hack has impacted national, regional and EU politicians from all major parties except for members of the far-right Alternative for Germany (Alternative für Deutschland, or AfD) party. Journalists, musicians, comedians and activists were also targeted. There is currently no indication of who was behind the attack, but the hacker or hackers leaked information for more than a month on Twitter before the media picked it up. The scale of the hack was first reported by RBB, leading Justice Minister Katarina Barley to call it a “serious attack” Friday morning. “The people behind this want to damage confidence in our democracy and institutions,” Barley said. The federal office for information security (BSI) said Friday it was investigating, adding that government networks had not been affected. 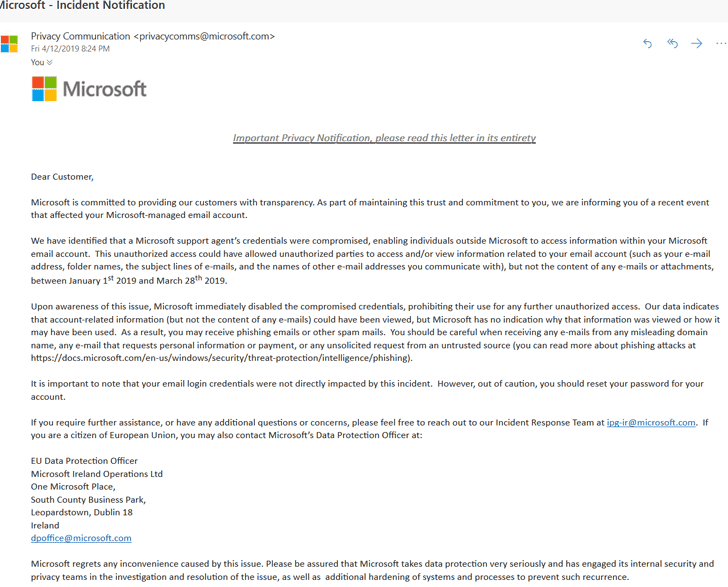 March 2018 phishing incident pegged as possible origin of latest hack and subsequent data theft. FIFA officials are bracing for new damaging leaks to be published this week after soccer’s governing body fell victim to a phishing attack. FIFA President Gianni Infantino admitted to the new hack while talking to the press after a FIFA Council meeting last week in Kigali, Rwanda. He said that both FIFA, soccer’s global governing entity, but also UEFA, Europe’s soccer body, had received hundreds of questions from journalists about subjects only recorded in FIFA confidential documents. Officials believe that someone at FIFA fell victim to a phishing attack this March, the New York Times reported on Tuesday. Hackers are believed to have used this entry point to gain access to confidential data, which they have now leaked to Football Leaks, a website that became famous in late 2015 after it started publishing internal FIFA documents revealing the dirty dealings of the soccer player market. The 2015 leak, believed to have been caused by insiders, led to the firing of many FIFA officials and the prosecution of soccer superstars such as footballer Cristiano Ronaldo and coach Jose Mourinho. The Football Leaks organization has already shared some of the files obtained from the recent hack with news agencies part of the European Investigative Collaborations (EIC), which said it plans to publish the new revelations starting this Friday, November 2. Email is incredibly useful, which is why we all still use it. But chief among its downsides (along with getting caught in a group-cc’d message hell) is that email remains one of the most common routes for hackers to attack businesses. Around one in every hundred messages sent is a malicious hacking attempt. That might not seem like a large figure, but when millions of messages are sent every day, it adds up — especially when it just takes one employee to fall victim to a phishing message and potentially lead to a whole organisation being compromised. “Email is still the main way that two entities who may not have a relationship get together and communicate. Whether it’s a law firm communicating with a business or a candidate applying for a job, email is still the bridge to getting these entities communicating. It’s not going away,” says Aaron Higbee, co-founder and CTO at anti-phishing company Cofense. As long as email is here, phishing will also remain a problem — and while some phishing campaigns are really sophisticated and based around cyber criminals performing deep reconnaissance on targets, other email-based attacks aren’t so sophisticated — and yet are still worryingly successful. “Officials said the hacked system was shut down and technicians are working to restore it before sign-upseason starts Nov. 1 for health care coverage under the Affordable Care Act.” reported the Associated Press.